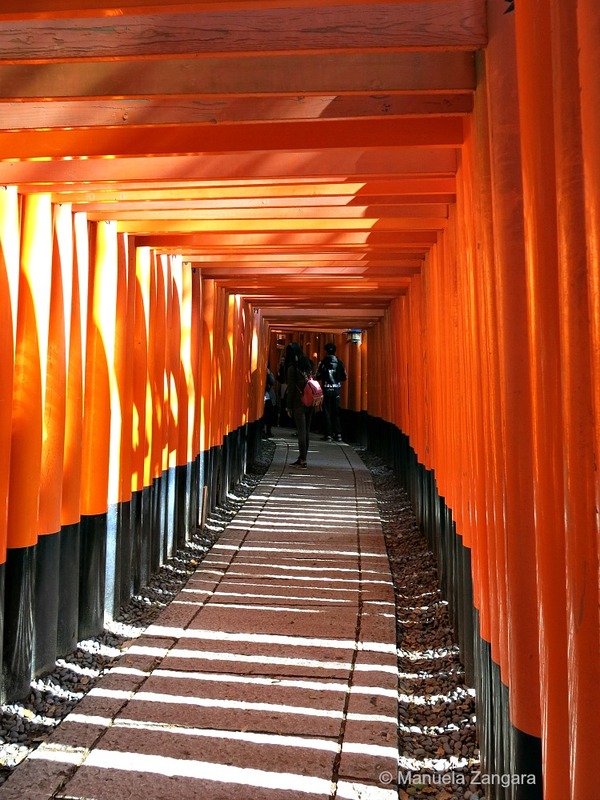 During our trip to Japan, we stayed 6 nights in Kyoto. 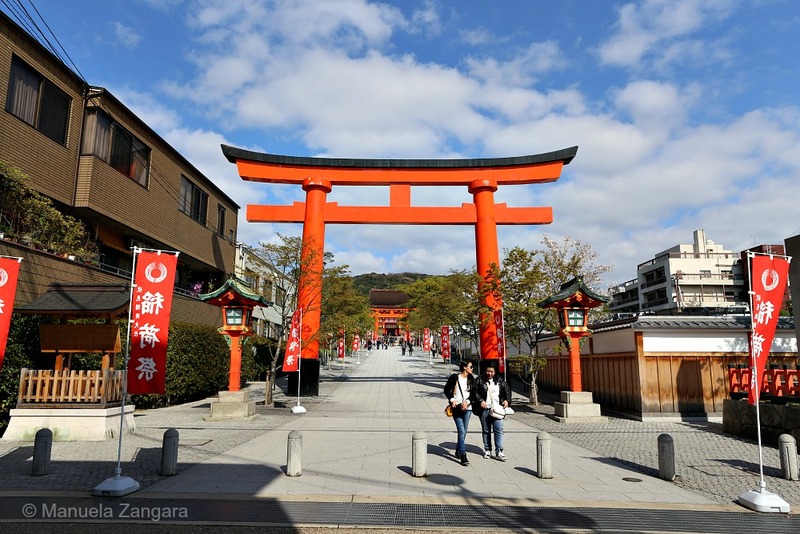 We really needed some time to unwind and we didn’t want to move around too much, so we mainly stayed in town. 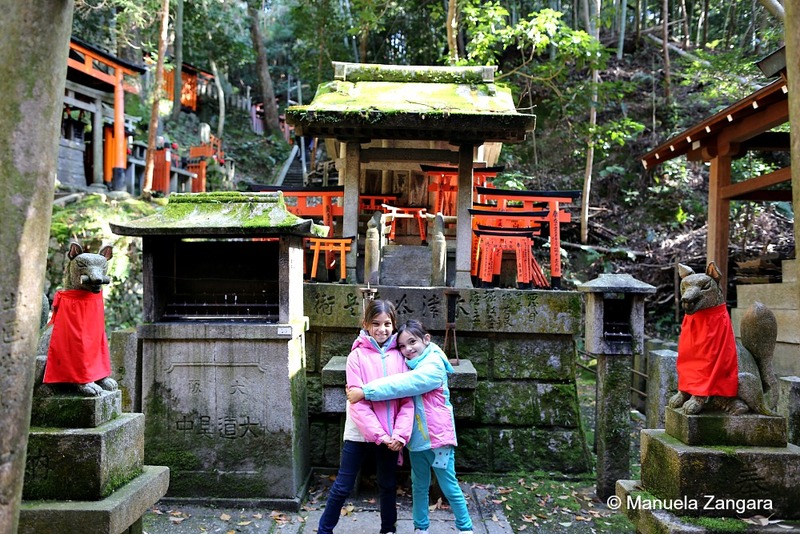 The only time we did venture outside was during our day trip to Nara. 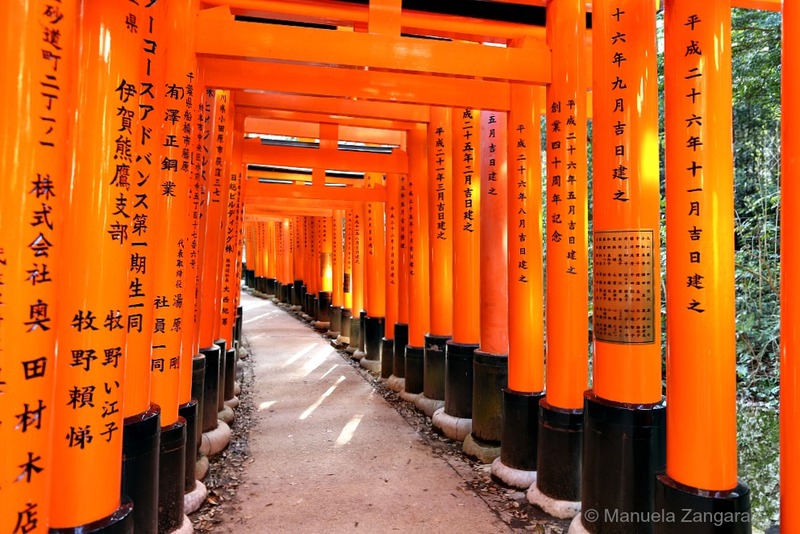 Today I will share with you a brief Nara and Fushimi Inari guide. 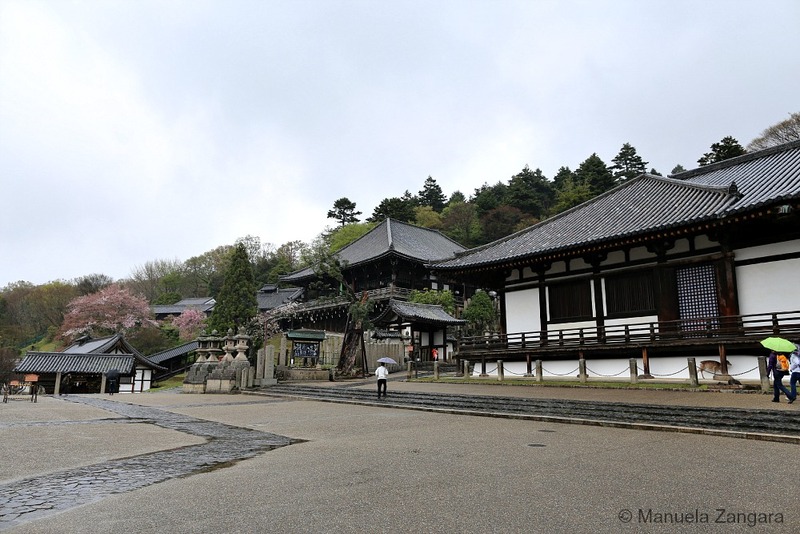 Nara was Japan’s first permanent capital and it is located less than one hour away from Kyoto and Osaka. 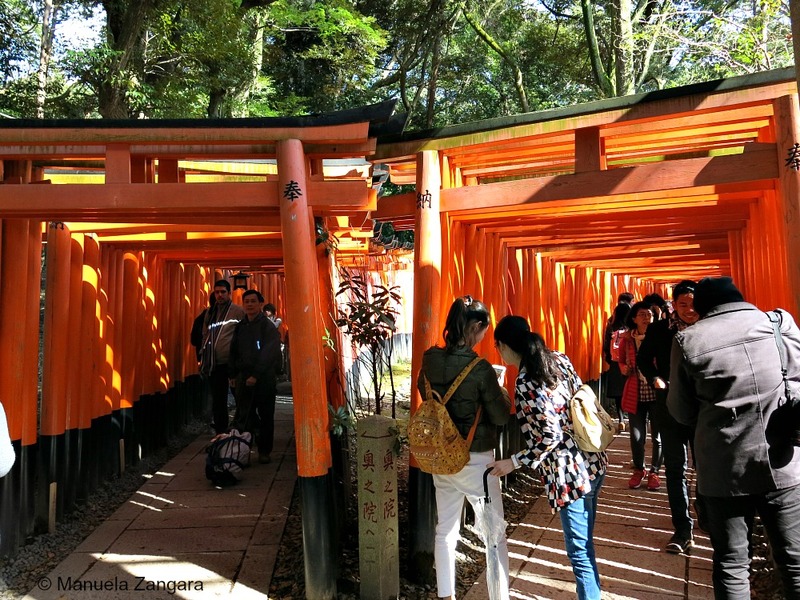 It remains full of historic treasures, including some of Japan’s oldest and largest temples mainly situated inside the huge Nara Park. 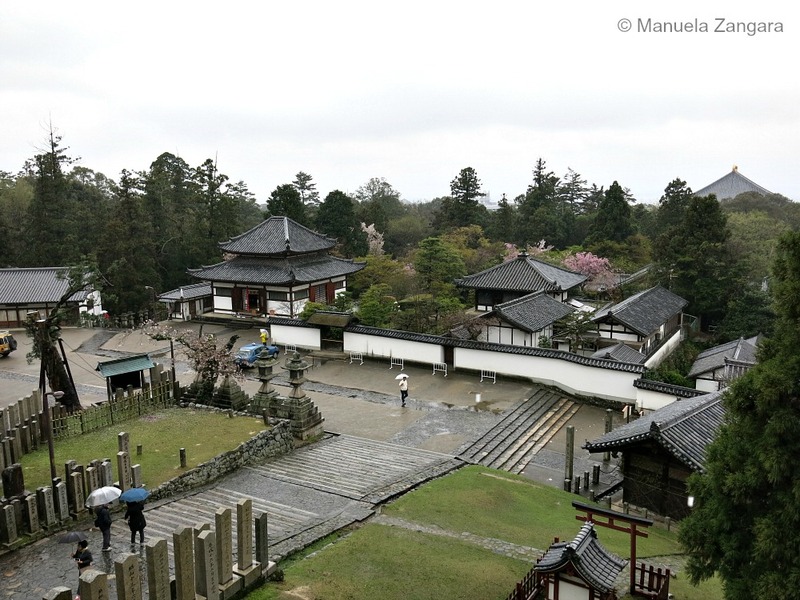 We were not lucky at all with the weather, as it was raining heavily all the time we were in Nara! It was also pretty cold. That’s probably why I didn’t enjoy our time there as much as I had hoped. The day started off badly for me, as I got to stand for almost the full train journey… in fact, we took a local commuter train at peak hour… not a smart idea: it was PACKED! 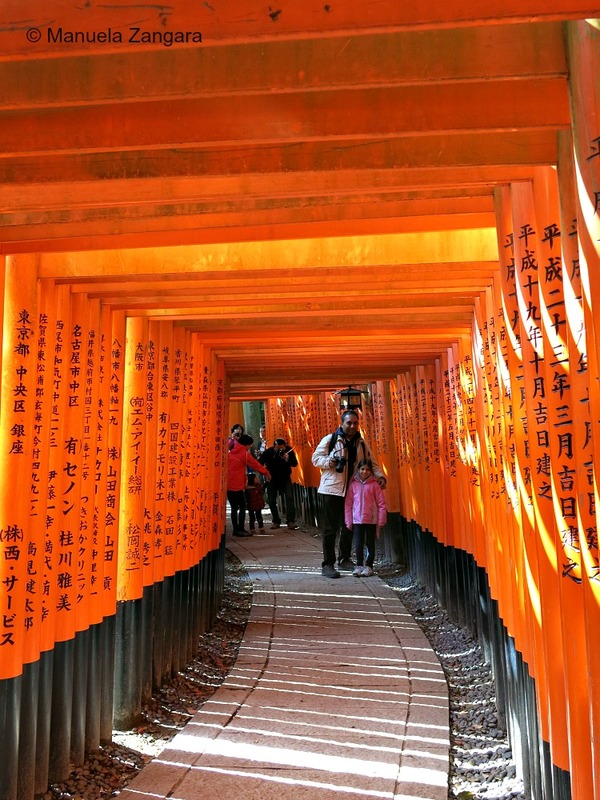 Anyhow, we got to see all the major attractions by lunch time and we then made our way back towards Kyoto by train. 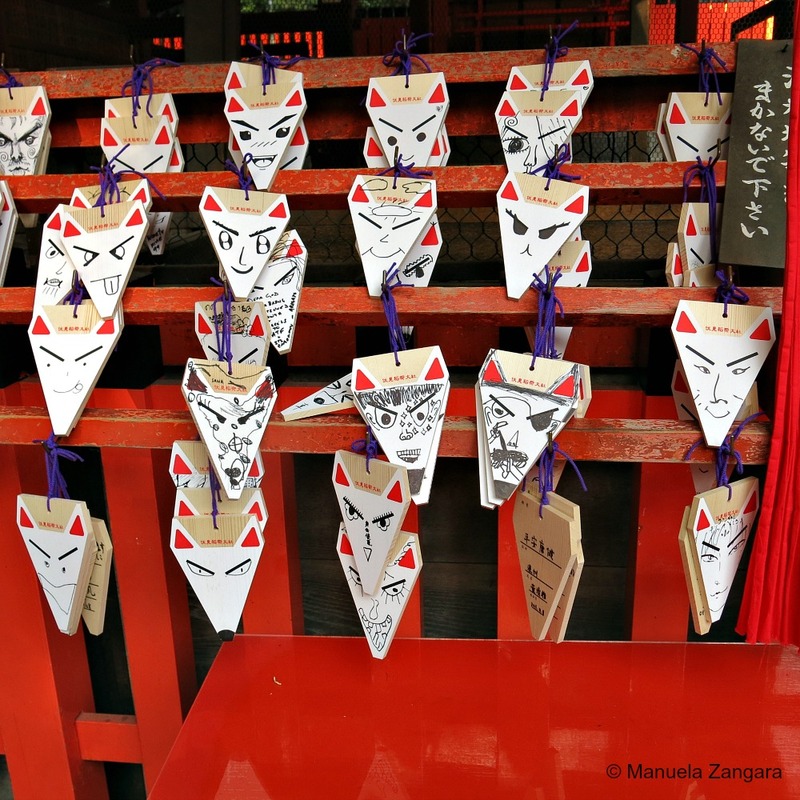 On the way back, we stopped at Fushimi Inari, an important Shinto shrine in southern Kyoto, famous for its thousands of vermilion torii gates. By then the sun had come out and our mood improved. 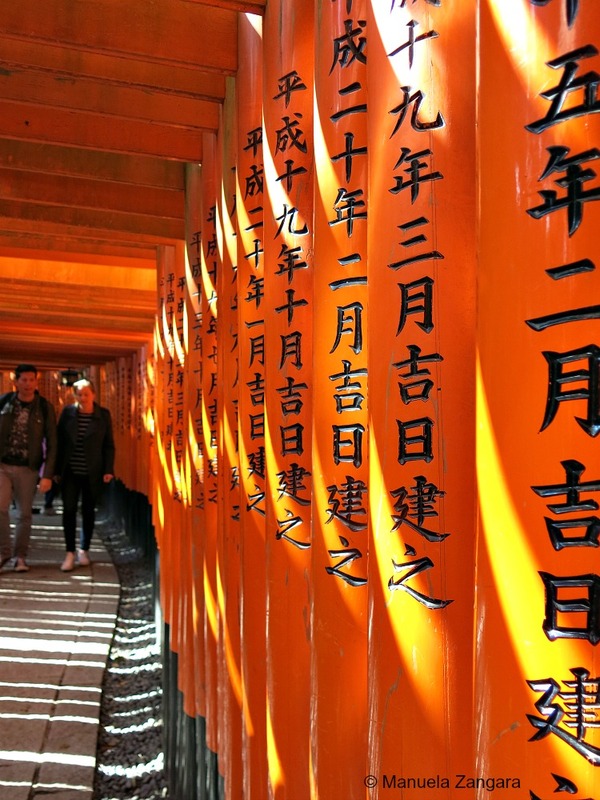 Needless to say, we LOVED Fushimi Inari. 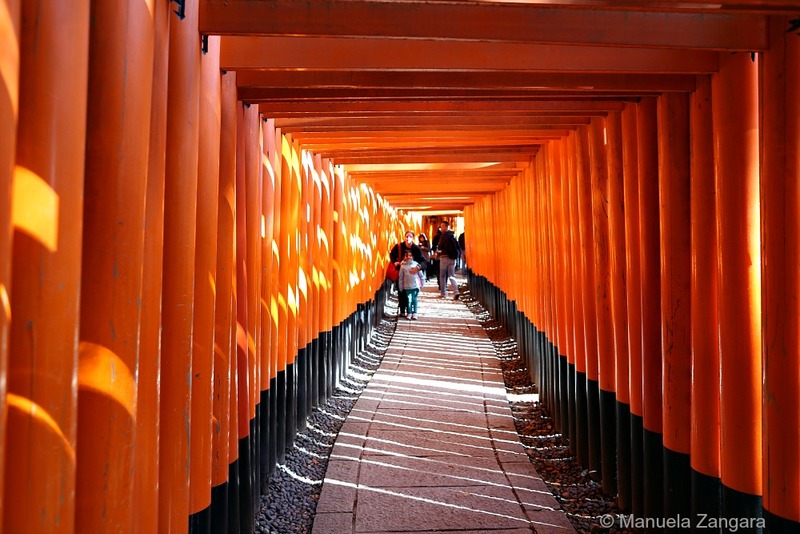 It was probably the best thing we saw in the whole trip. Highly recommended. But let’s get into more details. 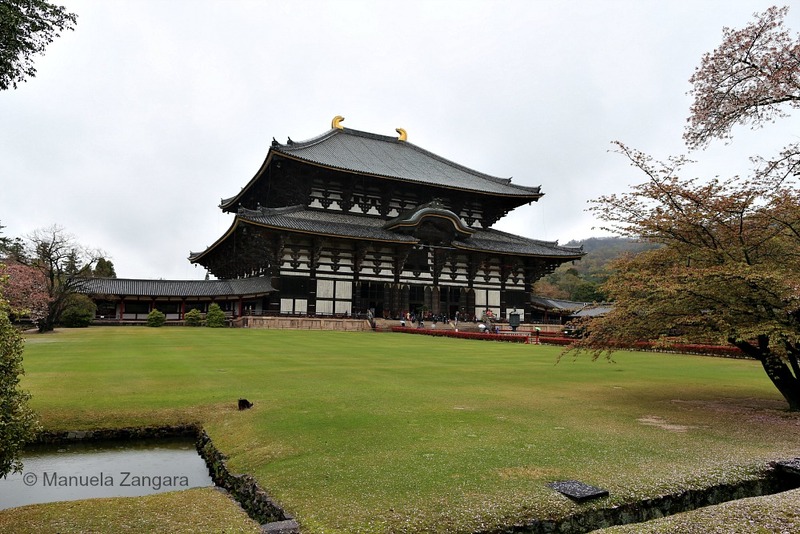 The first thing we visited was Todaiji Temple, one of Japan’s most famous temples and a landmark of Nara. 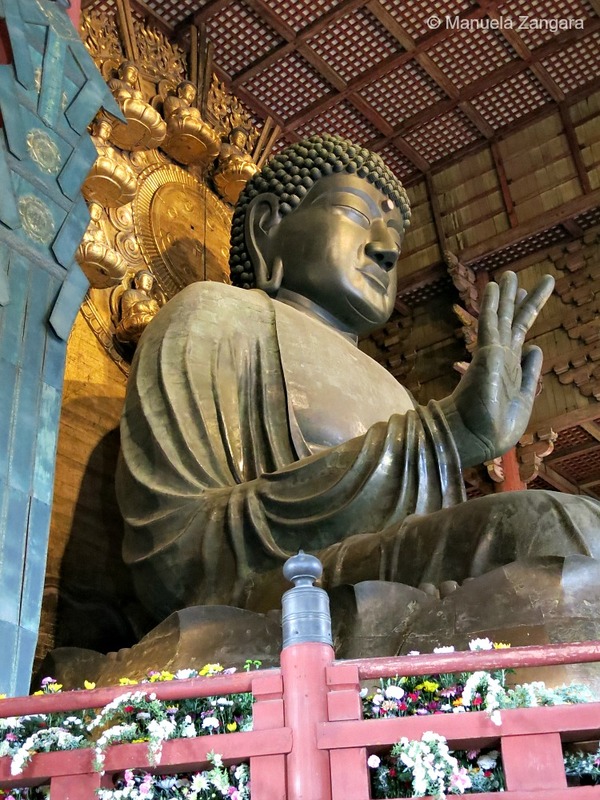 Todaiji’s main hall, the Daibutsuden (Big Buddha Hall) is the world’s largest wooden building and it houses one of Japan’s largest bronze statues of Buddha (Daibutsu) measuring 15 meters! 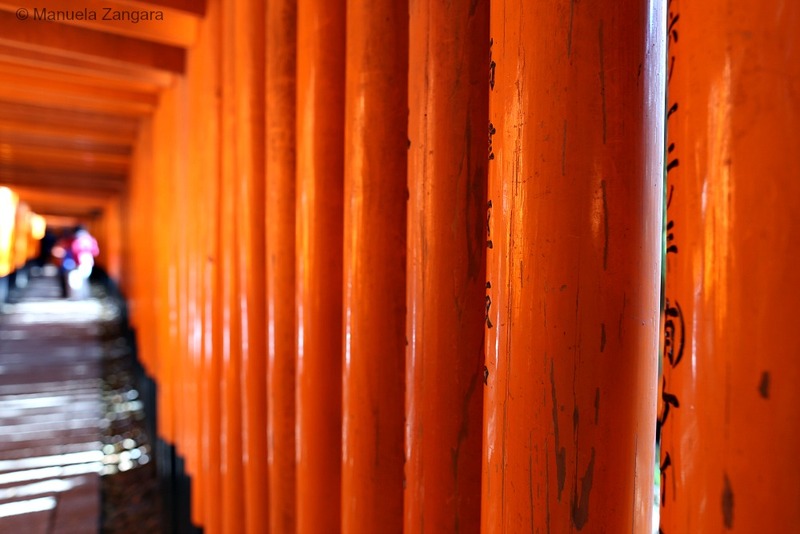 Another popular attraction is a pillar with a hole in its base that is the same size as the Daibutsu’s nostril. 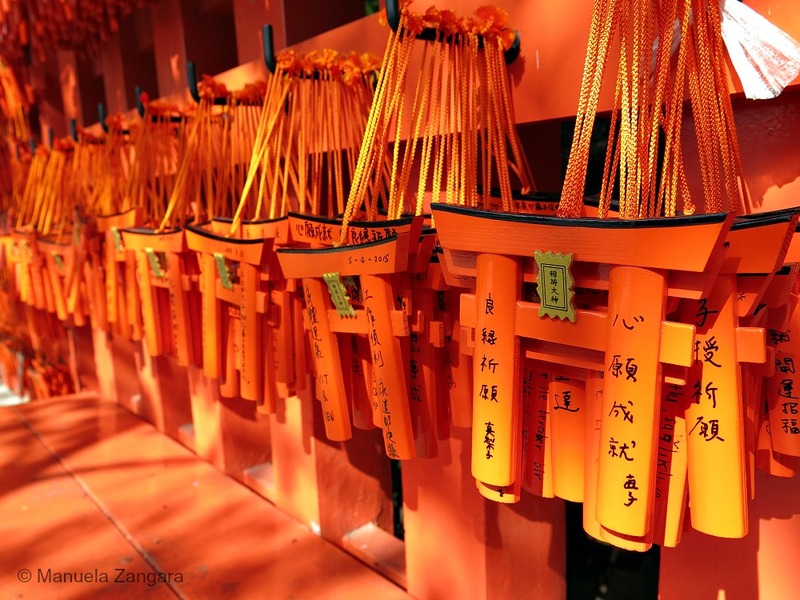 It is said that those who can squeeze through this opening will be granted enlightenment in their next life. 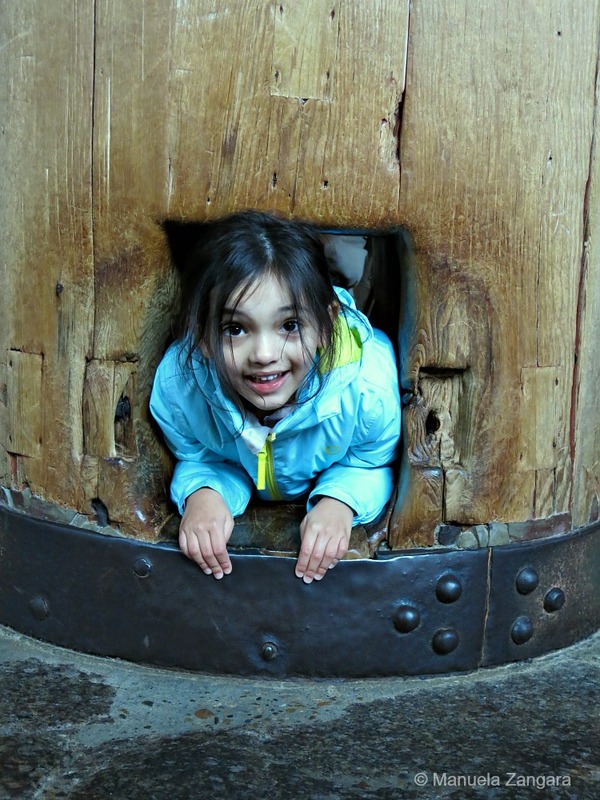 Needless to say… it is very small… but our 5 year old didn’t seem to mind and she passed through it… twice! 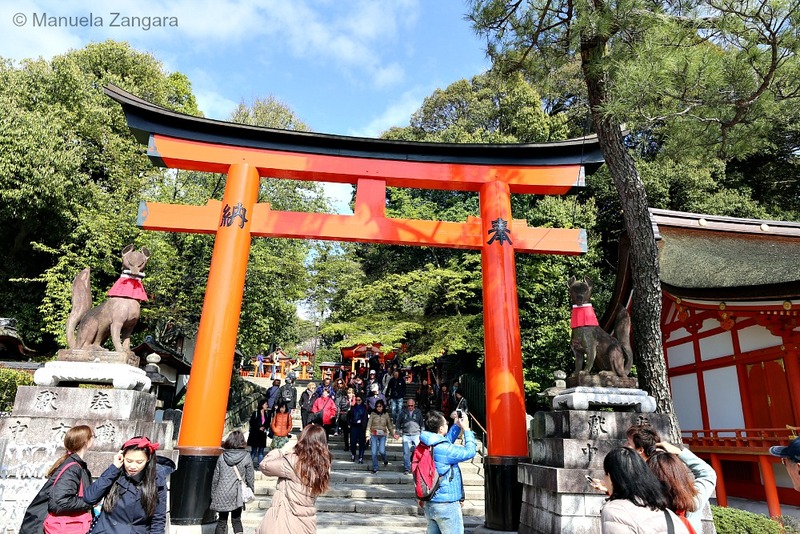 On the way to Todaiji stands the Nandaimon Gate, a huge wooden gate. 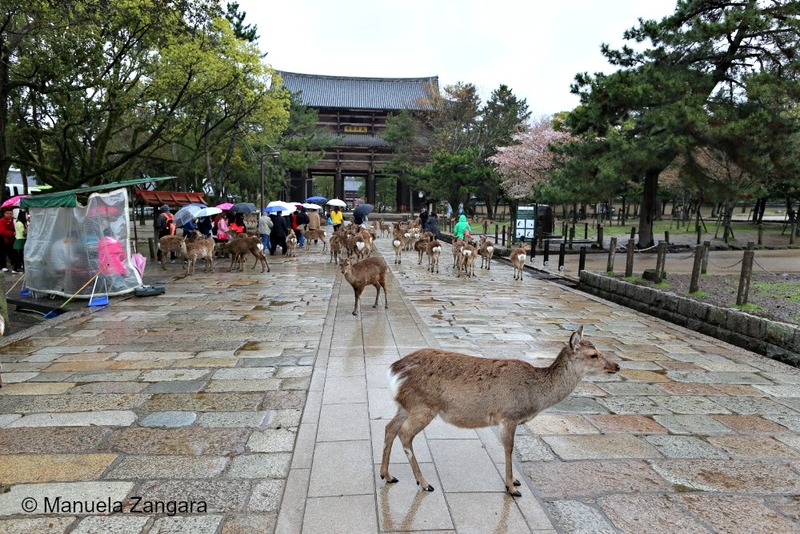 You will also encounter some deer from the adjacent Nara Park. There are actually hundreds of freely roaming deer in the park and they are considered to be messengers of the gods. 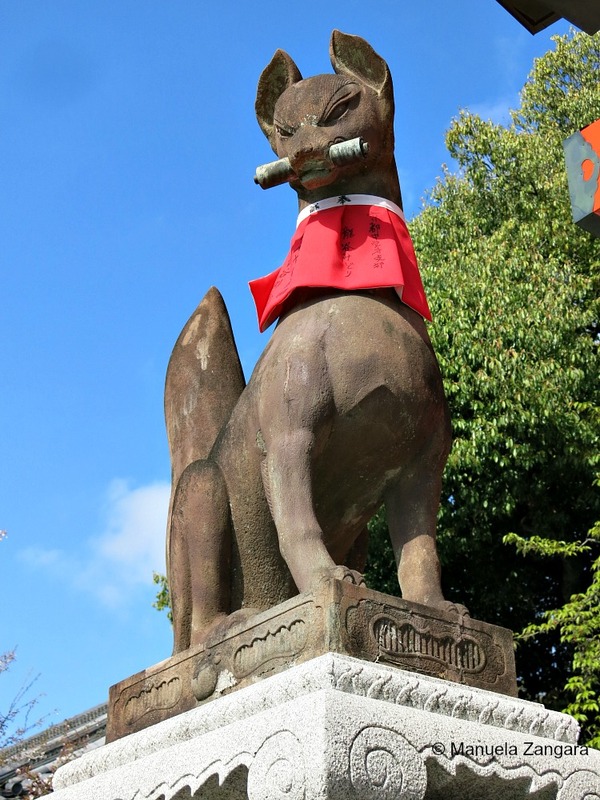 The deer have become a symbol of the city and have even been designated as a natural treasure! 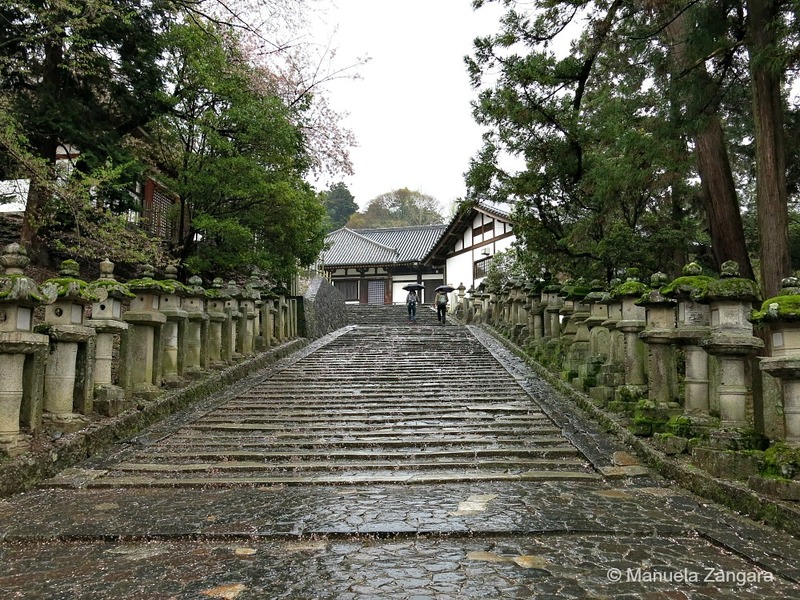 We also visited Nigatsudo Hall. From where you can enjoy great views of the city! 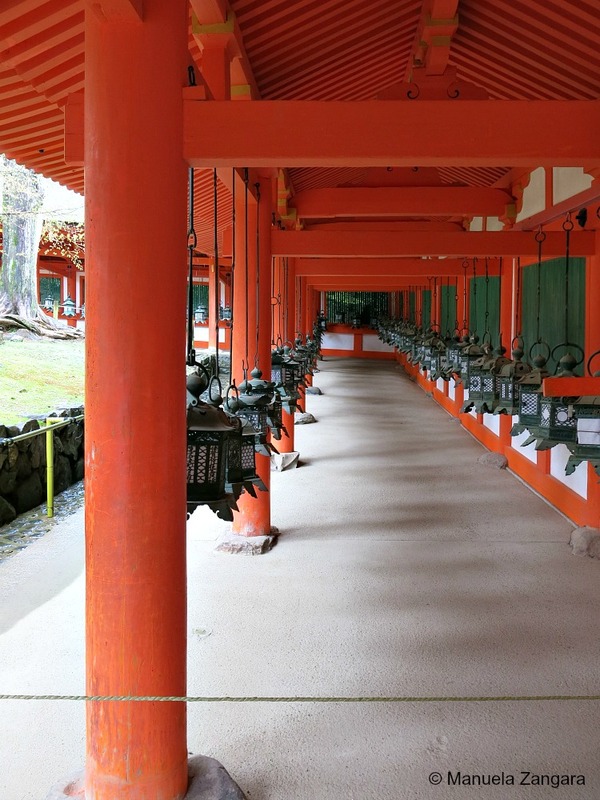 After that, we got to see the Kasuga Taisha shrine. 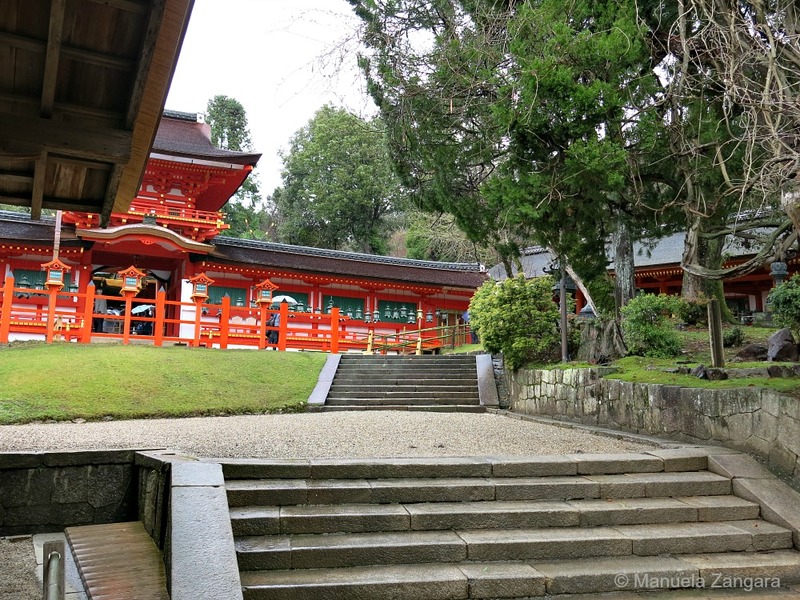 This shrine is quite far and it took us a while to get there… all under heavy rain. 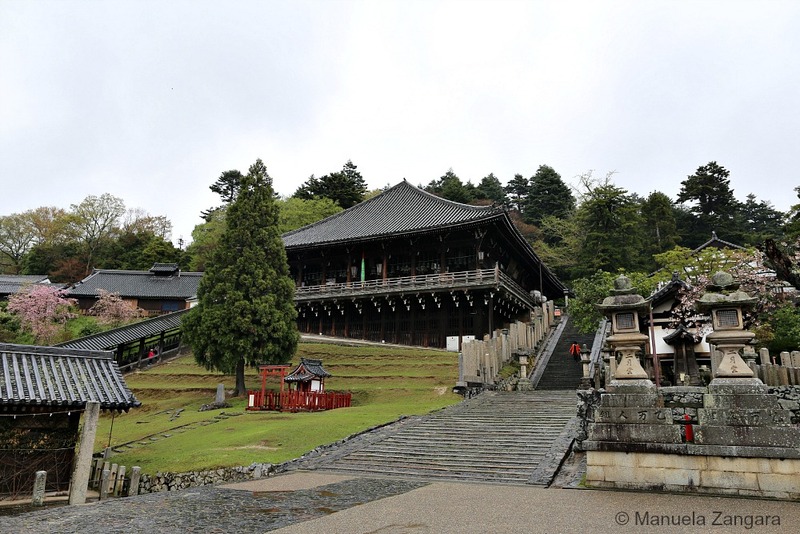 It is quite beautiful though and its buildings display the distinctive Kasuga style with a sloping roof extending over the front of the building. 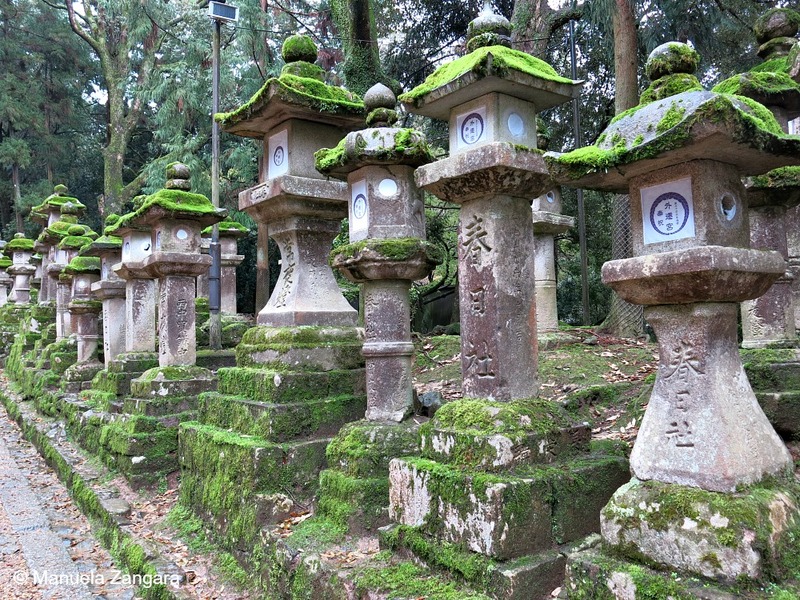 and many stone lanterns line the path that leads to the shrine. 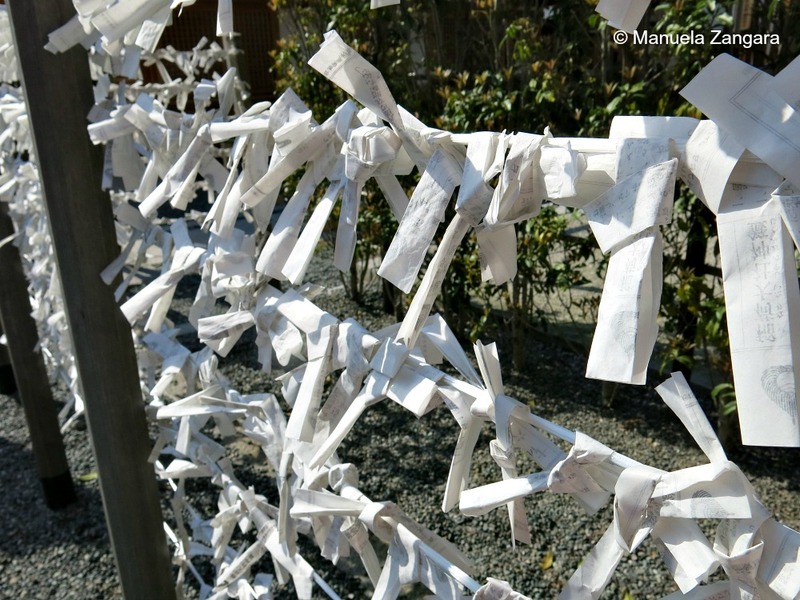 On our way back to the station, we stopped at Kofukuji temple, which unfortunately is being restored. 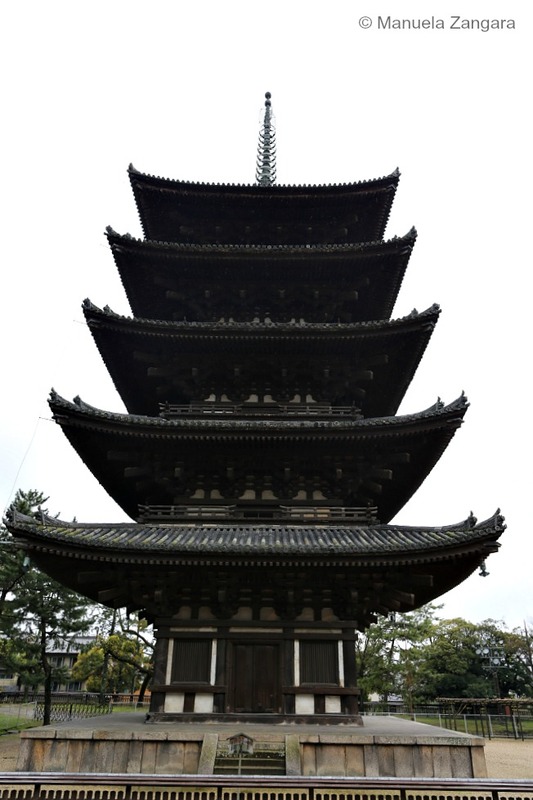 We could only see the Eastern Golden Hall and the five story pagoda, which is Japan’s second tallest. 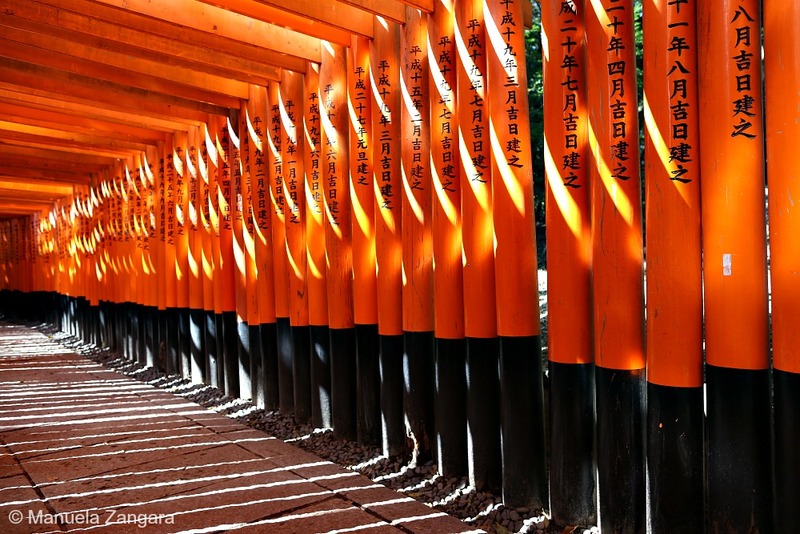 On our way back to Kyoto, we stopped at Fushimi Inari. 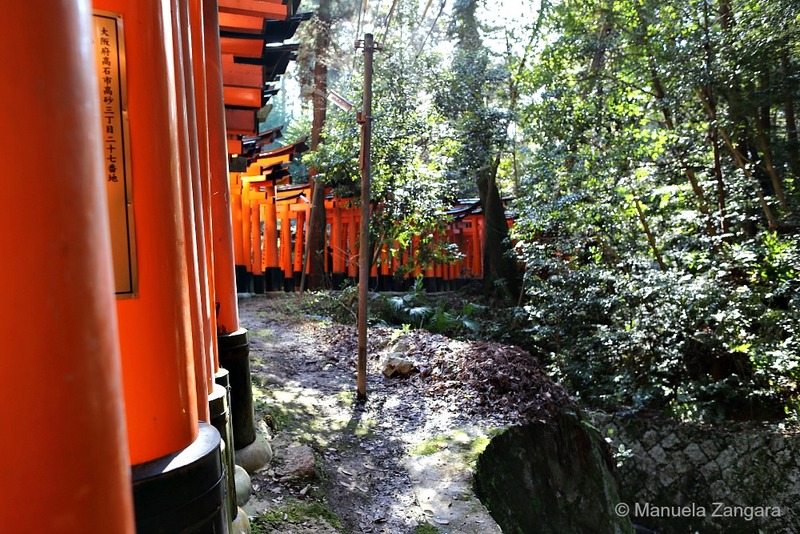 At the very back of the shrine is the entrance to the torii hiking trail. 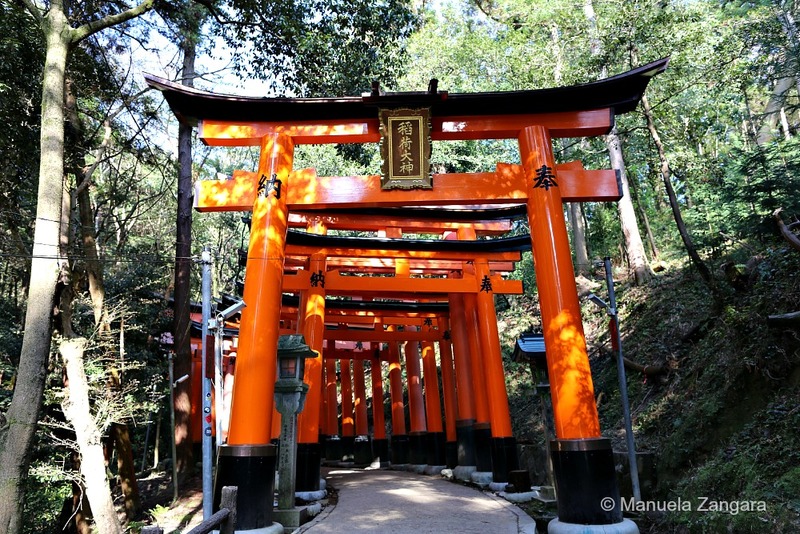 We went only about half way up as the kids were quite tired from all the walking we had already done in Nara, but it was absolutely breathtaking, especially in the afternoon light which intensified the orange colour of the torii gates. 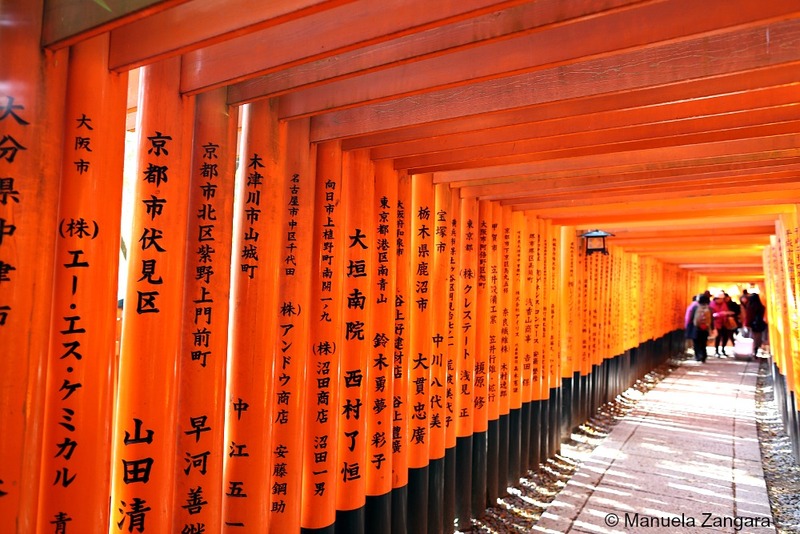 It was hard to leave Fushimi Inari and I would really love to go back and go all the way up next time. 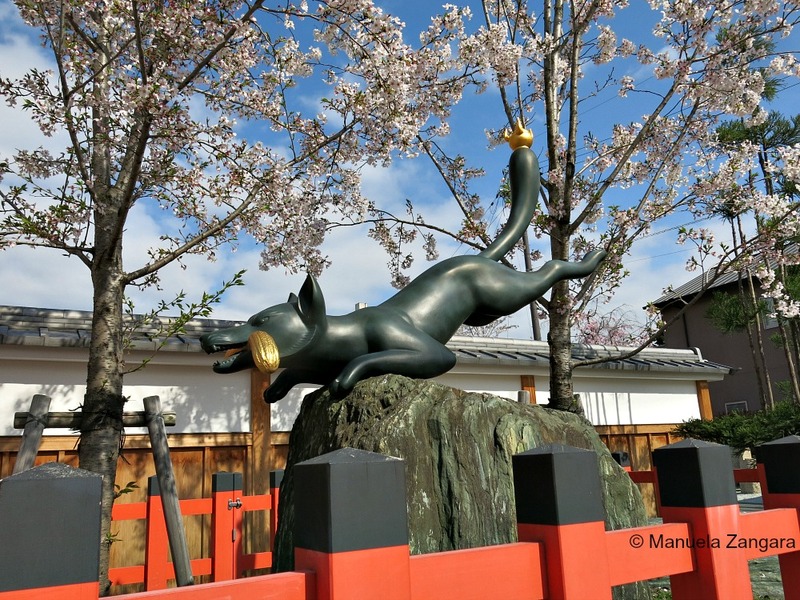 You can get to Nara JR Station from Kyoto station with rapid trains (45 minutes), or by local trains (75 minutes). 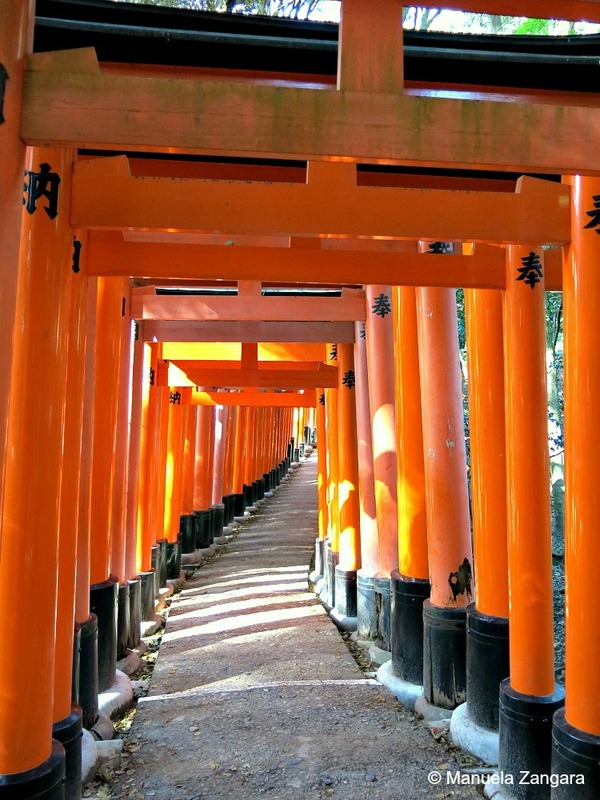 Both options are covered by the Japan Rail Pass. 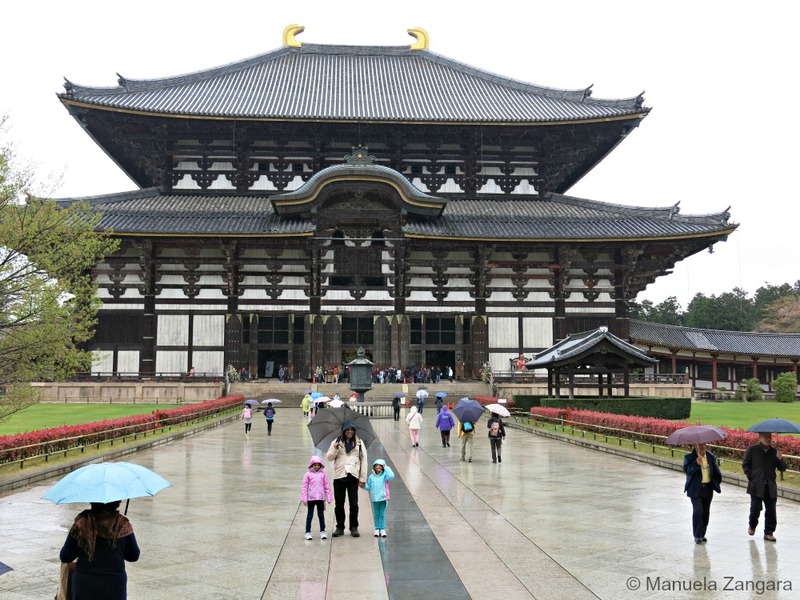 To get to the Todaiji area, get a bus from JR Nara Station and get off at Todaiji Daibutsuden, then walk for about 5-10 minutes. You can purchase daily bus passes at the JR Nara Station.